April 21, 2019 Geren W. Mortensen, Jr.
A few years back, after attending Photoplus Expo, I wrote about the then new Fujifilm 35mm f/2.0 lens, and that I was definitely putting one on my shopping list. Yesterday, I finally got around to picking one up, used, from my local camera shop. That shop is Service Photo in Baltimore. If you have a local shop, support them instead of the big mail order houses if at all possible. If you don’t have a local shop to support, support mine. Their prices are just as good as B&H or Adorama. The same probably goes for your local store, too. From there, in a roundabout way, I headed to old Ellicott City to meet a friend for an afternoon of record shopping and lunching, and after that, walked around town and took a few snapshots with the new-to-me lens on my X-T1. None of the shots are award-winners by any stretch of the imagination. But here are some, straight out of camera. Clicking the thumbnail opens the full image. You know the drill. As I said, none of these are particularly stellar images, but if nothing else, it felt really good to walk around with a camera in my hand again. The last thing I shot with a “real” camera was last October! And, most of those images haven’t even been downloaded from the card yet! The lens itself works, and works well. Like the one I used in New York, it’s sharp, it’s crisp, it’s contrasty, it’s quick. I love the “normal” angle of view provided by a 35mm lens on an APS-C sensor (or a 50mm on full-frame). It’s nearly as well matched to the X-T1 as it was on the X-T10. It was certainly comfortable to use. I didn’t try any manual focus, other than to see that it works. Manual focus on Fuji cameras can be challenging in any case, so I don’t use it often with lenses that actually can autofocus. Obviously, there’s been a bit of a slump in my photography. I get that way when things get to be Too Much, and lately there’s been Too Much of too many things. The only Too Much that I have not been bothered by has been band/music related. But the rest of the Too Much has really gotten in the way of my enjoying much of anything else. We’ll cycle back around to the Too Much band and music later (probably in a different post), ‘cause there’s really some fun and enjoyable stuff there. Better yet, head over to my band’s site (www.7soulsband.com) to see about that. I’ve decided to trim back the big stack o’ photo gear here. It weighs on me. It stifles my enjoyment. And, I don’t need it all. Really. First up, I wanted a wide-angle prime lens. I’ve talked over the years about a 12mm, and wound up with a Fuji 14mm f/2.8 that I’ve used exactly one time. Honestly, for my shooting, it’s actually too wide. It’s a beautiful lens. It’s in nearly-new condition. But it’s not what I really wanted. Neither, BTW, was a 12mm. I wanted to replicate the three lens kit that I had back in high school. Back then, I had a 24mm wide angle lens for my Canon AT-1 (along with a 50mm f/1.8 and a 135mm f/3.5). I loved that lens, and I actually have one now for M42 thread-mount cameras (lord knows why). Now, Fujifilm has released a 16mm f/2.8 lens in the same “series” as the 35mm f/2. It’s reasonably priced. And, they already have a 90mm f/2 as well (though it’s not so reasonably priced). So, I’m thinking that the 14mm has got to go, and be replaced (maybe) with the 16mm. 2mm doesn’t sound like much of a difference, but in wide-angle lenses, it’s actually considerable. I’ve also got three Fujifilm bodies — my first X-E1, an X-E2, and the X-T1. When I got into this whole Fujifilm/mirrorless thing. 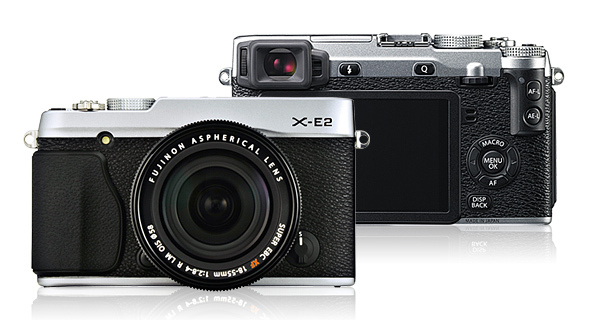 I really wanted a “rangefinder” style camera, and as a consequence of budget, chose the X-E1 over the Xpro-1. I’ve never regretted that choice, BTW. the X-E1 was a darling little camera that I loved using. Since I liked the X-E1 so much, it seemed natural to upgrade to the X-E2 after it had been out a little while. It had improved everything, supposedly, over the X-E1. But frankly, I’ve never been able to come to grips with the X-E2. While it got an improved autofocus system over its predecessor, along with the lovely “Classic Chrome” film emulation, everything else got to be Too Much. There are more controls, arranged badly, and what had been a nice, simple camera got complicated and unwieldy. It wasn’t fun to use! Now, I know I probably should have sent the camera back as soon as I realized that I didn’t like it (and if I’m honest, I’d figured that out within just a few short days). But, I soldiered on, determined that it must be my problem, and not the camera’s. I bought the X-E2 new in March of 2016, a couple of years after Fuji released the X-T1, which I rented to use for some high-profile event work and really enjoyed — despite it being an SLR-styled body). I reasoned that once I applied the latest firmware, I’d have the functionality of an X-T1 in the rangefinder-style body. They talk about the best laid plans, and we know how that ends. Shortly after renting the X-T1 for the first time, I started muttering that if I found one in decent shape at a good price, I’d buy one, and in March of last year, I did. This one did have a few rough spots cosmetically, but the seller was someone I’d done business with in the past and I considered reputable. When he told me that from the standpoint of functionality, it was 100%, I took him at his word and ordered it up. Just over a year ago, my new-to-me X-T1 arrived. Externally, it has … character. Some of the edges are a little scuffed and worn, and one piece of the rubber skin was falling off (and has since been removed). Another major chunk of rubber is starting to come loose. It’s the camera I’ve been shooting with ever since (at least when I’ve been shooting), and it’s been flawless. The exception has been concerts, for which I have been using my aging Fujifilm X10. To try to cut a long story short, I’ve decided that three camera bodies is Too Much. Since I never liked the X-E2, it’s obviously going to go, but I struggle when thinking about the X-E1. It really doesn’t have a lot of value, despite being nearly pristine (there’s some slight brassing here an there) and functionally perfect. But, it being the first of my Fuji ILCs, and it having been the object of my lust for several months, I do have some sentimental (or is that semimental) attachment to the camera. But as I said, Too Much. So, two bodies, a lens and some accessories are going to go and make way for some newer items. I’ve already mentioned the new Fujifilm 16mm lens. And, the quite pricey 90mm. A 16mm, 35mm, and 90-ish-mm would allow me to approximate that 3-lens kit I had all those years ago, which has been a goal for some time. Those of you who have followed my site for any particular length of time know that I like to find ways to save money. I buy used gear, discontinued items, B-stock, or non-OEM to save money when I can. Sometimes, that works out well. Other times, not so much. Which is to say that I’m interested in a way to not have to pay the chunk of change represented by Fuji’s 90mm lens. Sure, it’s a thing of beauty. But is it worth $950? Especially when there are finally 3rd party companies making less expensive alternatives, now even with autofocus. Specifically, a company called Viltrox made a splash last year with adapters that allow the use of Canon EF and EF-S lenses with full autofocus and auto aperture on Fuji X-series cameras. One is even a “speed booster” with 0.71X magnfication (so a full-frame 50mm f/1.8 looks and acts like a 50mm f/1.8 lens on the APS-C-sensor Fujis) The things actually work! Now, they’ve come out with an autofocus 85mm f/1.8 for Fujifilm. As you can see from the photo, it’s not a small lens, due it part to it being originally built as a full-frame lens. But then, Fuji’s own 90mm f/2 is longer, but only slightly thinner. The Viltrox lens also does not have an aperture ring. This common on lenses for other cameras, but uncommon on all but a very few of Fuji’s own lenses. I’ve become somewhat used to this with my X10 camera and the 50-230mm Fuji zoom. For me, while less than ideal, it’s not a show stopper. For others, it may be. Firmware is easily updated, which will allow Viltrox to improve lens characteristics and compatible with future Fujifilm cameras. Unlike Fuji’s own lenses, the Viltrox has a mini-USB port built into the mount, so updates are as simple as plugging the lens into your computer and dragging the update file onto the lens. Fuji’s lens firmware is updated by mounting the lens on a camera, putting the new firmware on an SD card, and booting the camera into update mode. Reviews so far with pre-shipment lenses are mixed, leaning towards very good. Is the lens as good as the Fuji? No, but it’s also 1/3 the price. It’s seems that it could be a very viable option in completing my prime lens trilogy. That is, unless I can find a real bargain on a used Fuji lens. October 9, 2014 Geren W. Mortensen, Jr.